He was the greatest entertainer in the ring. Watched couple of fights of his. He jumps around the opponent throughout the fight. In that case he is a butterfly....like how a butterfly goes around a flower. I was fortunate to meet him in person (accidentally) in Orly Sud airport Transit area in early 80s and unfortunately, there were no Camera phones then and Selfies too were not a fad either. @ Kithsiri, you are very lucky to have met him in person even accidently. 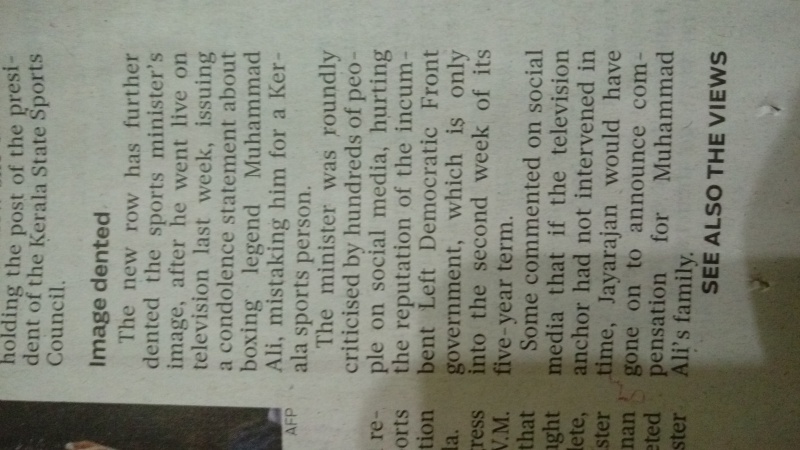 Foreman respected Ali forever, as he said that Ali could have delivered one more punch before he fell, but did'nt. I remember reading his Autobiography The Greatest (1976), in 1977. fantastic book about his training schedules, diet, fights, religion & the civil rights struggles. I remember when reporters asked him in 1967 why he refused to go to Vietnam, he famously replied " i aint got no quarrel with them Viet Cong". nearly 50 years ago ! Yes two of the GREATEST in their chosen arenas. 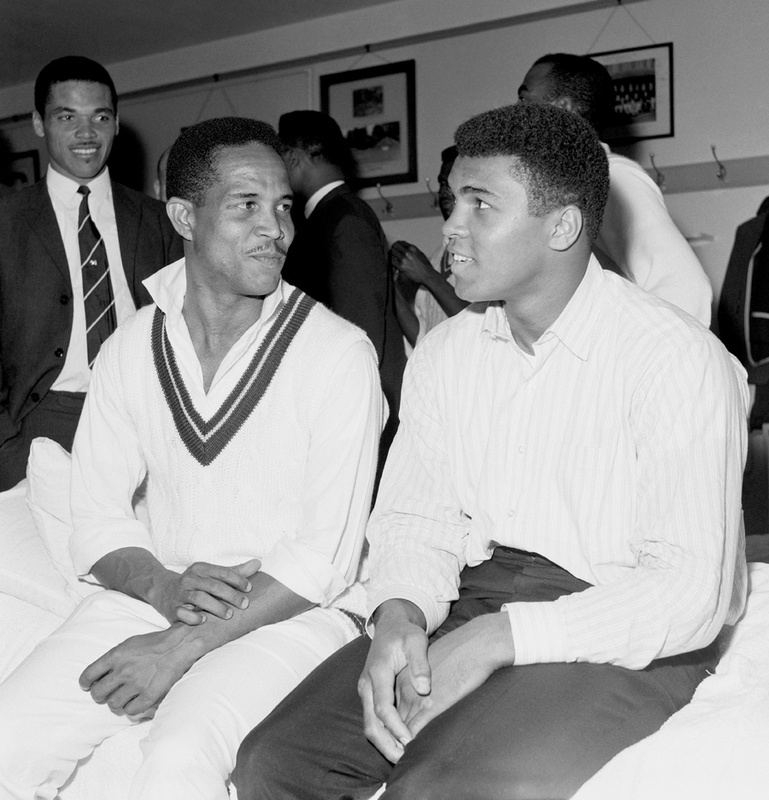 (Privileged to meet Sri Gary Sobers too in person a quite a few occasions). When I was young(er) , doing my Bachelors, I visited a beautiful place in the northern part of the USA. It was a lovely weekend . All was rather quite that day. To my surprise I saw Mr Cassius Clay ( Muhammad Ali) , visiting there ( on vacation). Then digital cameras were not really available. Only film camera. I quickly ran to seize the opportunity and ask my Muhammada Ali, whether I can take a picture with him. He not only agreed, he quickly asked me to come right next to him, put his arm around my shoulder and we took this wonderful snap shot. He towered over my stature ( physically) as I am not big made made person. He was 6'3 feet. I think I chatted a few words with him too. Sadly with time ( and negligence) I lost this picture. I always regretted loosing it. On my brief encounter with this man, I can tell you he was a warm humanitarian. Rest in Peace Mr Ali. I/we will miss you Sir. You just become dust like we all do on earth. But the legacy and memories you left are unmatched. @sls - Fantastic to hear. the question is even if you have the picture, will you upload on forum ? :-) it will be like the thrilla in manilla !!! waiting to see a photo of you champ. btw how old was ali then ? sls - Fantastic to hear. the question is even if you have the picture, will you upload on forum ? :-) it will be like the thrilla in manilla !!! waiting to see a photo of you champ. What a smart cookie you are haha. Btw, rough age can be gotten my post itself there is hint. Let me warm it up a bit more. It was a year where Digital Cameras were in commercial market but only very very few had them ( afford them). Lords special tribute to the Greatest ! Video of Sir Garfield Sobers ringing 5 minute bell.